Mark Wahlberg and director Peter Berg are heading to Netflix for Wonderland. The new movie, which is an adaptation of the long-running and very popular Spenser book series, marks the fifth collaboration between Wahlberg and Berg. The pair clearly have some well defined creative chemistry with one another and Netflix is hoping to tap into that for their latest high-profile project. The world's largest streaming service has been going after eye-catching projects with big-name talent attached as of late in order to assert themselves as a major competitor in the cinema landscape. Wonderland isn't based on any specific novel in the Spenser series but is inspired by Robert B. Parker's detective novels. The character first appeared in Parker's 1973 novel The Godwulf Manuscript and in the years since has appeared in nearly fifty different books. Parker started out writing the series and did so through 2011 with his final entry Sixkill. Ace Atkins stepped up to take over after that, with his first entry Lullaby hitting shelves in 2012. Shockingly, every single one of the 48 Spenser novels has gone on to become New York Times best sellers. With that in mind, there is clearly an audience for something like this. Netflix already has a massive audience at their disposal that is very hungry for new content. Mark Wahlberg is also a very bankable star and Peter Berg has proven that he knows how to direct a movie like Wonderland. This feels like the kind of thing that has potential franchise written all over it. With 48 novels to drawn on for inspiration, if this first movie is a hit there is plenty of material for sequels. Netflix is no different than any other Hollywood studio in that respect. They're attracted to a franchise. The script for Wonderland comes from Sean O'Keefe and is said to follow a man fresh out of prison who is sucked back into Boston's criminal underbelly while he uncovers the truth about a shocking murder. Neal H. Moritz will produce for Original Film, alongside Mark Wahlberg, Stephen Levinson and Peter Berg under his Film 44 production banner. Toby Ascher is executive producing alongside John Logan Pierson . This is the latest title for Netflix that pairs a big director with a big star. Last year's Bright reunited Suicide Squad director with Will Smith and the streaming service recently nabbed Six Underground, which comes from director Michael Bay and will star Ryan Reynolds. 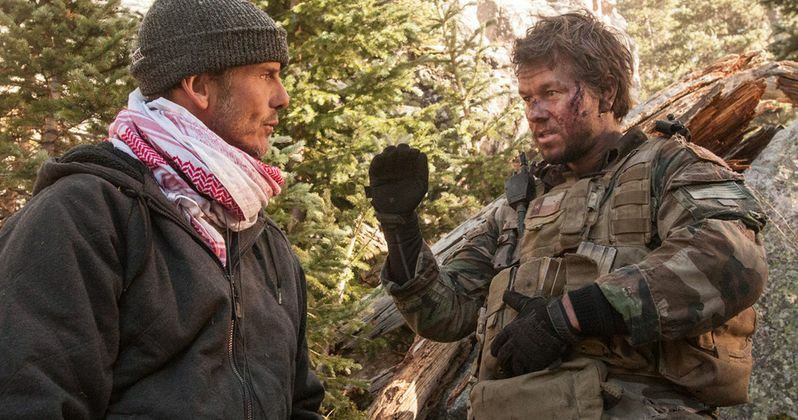 Prior to this new project, Mark Wahlberg and Peter Berg collaborated on Lone Survivor, Patriot's Day, Deepwater Horizon and the upcoming Mile 22, which is set to arrive in theaters on August 17. STX recently bumped back the movies' release date by two weeks. That's no cause for concern though as the studio also already has a sequel in the works. There is currently no production timetable for Wonderland. This news comes to us courtesy of The Hollywood Reporter.